Holiday card messages send a season’s greeting to those you know. 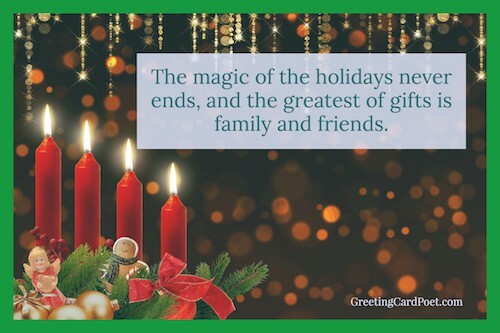 Please review our collection of holiday card greetings, Christmas card sayings and wishes for ideas. When it comes time for Santa Claus to make his once-a-year-trip, may your household be filled with love, laughter and goodwill. And, may all of your Christmases be white. 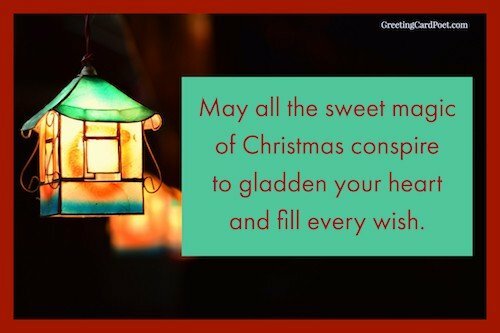 May all the sweet magic of Christmas conspire to gladden your heart and fill every wish. 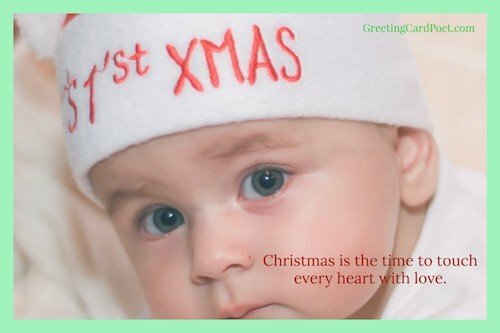 Christmas is the time to touch every heart with love. The gift of love. The gift of peace and the gift of happiness. May all these be yours at Xmas. 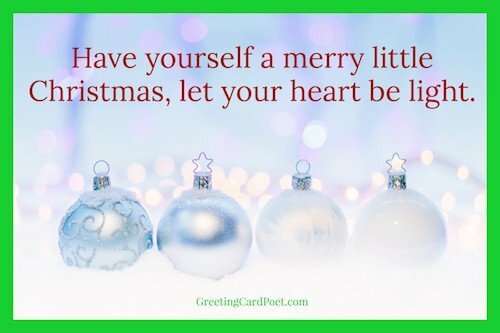 Do you love Christmas card messages and Christmas card sayings? We’ve got a boatload. Keep on reading. 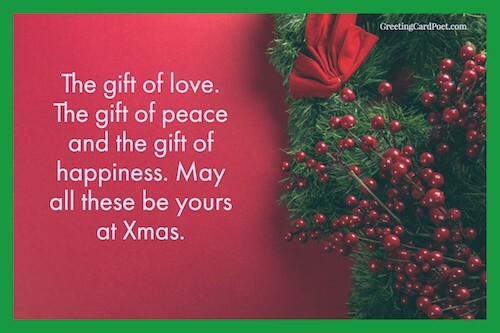 May Peace be your gift during the holidays and your blessing all year through! 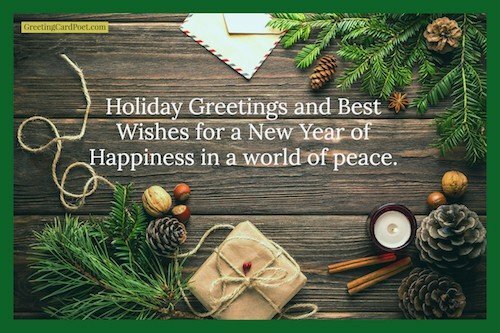 May your holidays be blessed with peace and joy. All the brightest and the best of the season. 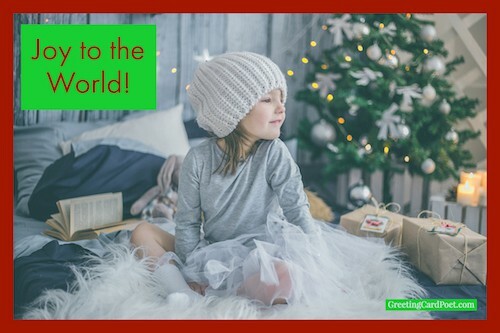 May you love the holiday season as much as your children! 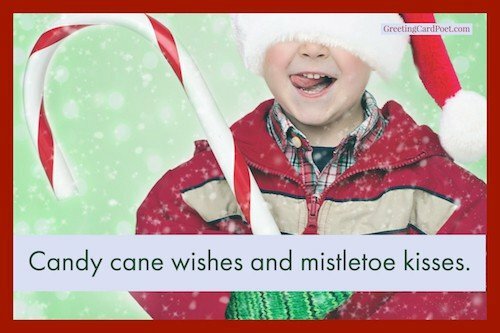 Tip: These Holiday Card Messages are also great for photo captions during the holidays. 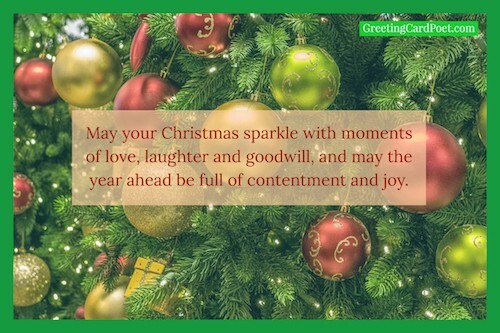 You might like our Funny Christmas Quotations. Missing you and sending our love. Decorating Tip: Place these Christmas messages by a Christmas candle in your house. Best wishes for the holidays and the coming year from our entire organization. May love, hope and happiness be yours at this holiday season and always. Thinking of you and sending the warmest blessings for a very Happy Holiday. Wishing you a most memorable holiday season. It’s Christmas time in the city (and at our house). Happy Holidays! A Holiday family blessing to you all. Joy to the World. You’re on Holiday Card Messages.